Information has come forward that there has been a privacy lapse in the 2010 census data. The race and ethnicity of 138 million Americans may have been compromised. The biggest issue is that people will not trust the bureau to keep their private information safe, which is just another reason for people to not fill out their census forms. Also in question is the much-debated proposed citizenship question, which the Supreme Court has now agreed to hear. The fear is that citizens will withhold completing their census or lie because of possible repercussions from the answers at a time when many people do not trust the government. Not filling out your census form could affect distribution of federal money and allocation of seats in the House of Representatives. Also important is that the census gives us a snapshot of the race and ethnicity of our country, which could be vital to our knowing how many people self-identify as biracial or multiracial, also called “two or more races” by the Census Bureau. Project RACE will keep you up-to-date about these and other important issues. WASHINGTON — A federal judge in New York blocked the Commerce Department on Tuesday from adding a question on American citizenship to the 2020 census, handing a legal victory to critics who accused the Trump administration of trying to turn the census into a tool to advance Republican political fortunes. 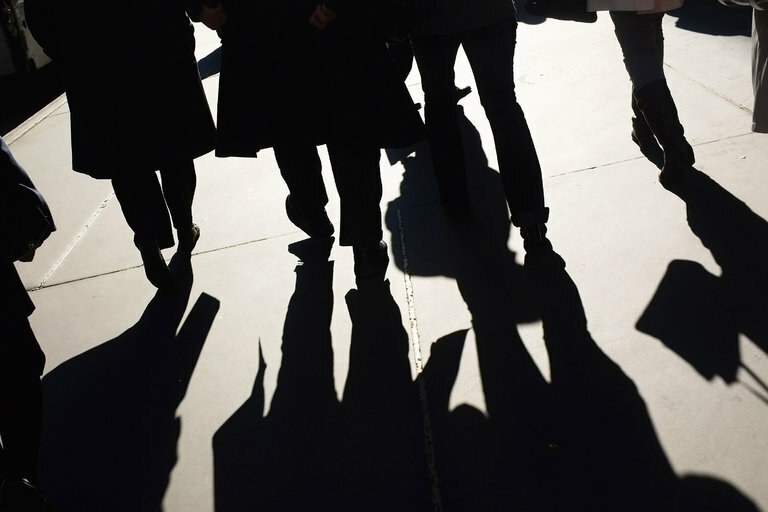 A broad coalition of advocacy groups and state and local officials had argued that the citizenship question was effectively forced into the census under false pretenses, in violation of laws enacted to ensure that federal policies heed the public interest. At first blush, the central question of the lawsuit — whether the 2020 census should ask respondents if they are citizens — seems mundane enough. A similar question was asked in most federal censuses before 1960, and it is still asked by the Census Bureau in the American Community Survey, which samples about 2.6 percent of the population each year. But opponents argued that adding the question to the census itself would undermine the constitutional mandate to count every person, regardless of citizenship, because it would discourage noncitizens from filling out the questionnaire for fear of persecution. That was especially true, they said, in light of the Trump administration’s open hostility toward some immigrant groups and its campaign to round up and deport undocumented residents. Roughly 24 million noncitizens live in the United States, and fewer than 11 million of them do so illegally. Nearly one in 10 households includes at least one noncitizen. A substantial reduction in the number of households that respond to the census could alter the distribution of hundreds of billions of dollars in federal grants and subsidies. Because the census is also a statistical baseline for business and government decisions, an undercount could skew countless decisions on matters like where to locate new stores or where to open or close medical clinics. Total population figures will be used to reapportion seats in the House of Representatives in 2021, so the contours of Congress, the Electoral College and thousands of state and local political districts could be affected. Because noncitizens tend to live in places that disproportionately vote Democratic, undercounting them in the census would be likely to shift federal spending and political power to Republican areas. Some of the six lawsuits to block the addition of the question, filed by advocacy groups and public officials in California, Maryland and New York, argue that such a shift is the real motive for the Commerce Department’s decision. The official explanation from Wilbur L. Ross Jr., the commerce secretary, was that he was responding to a request the previous December by the Justice Department, which stated that census data on citizenship would help it better enforce the 1965 Voting Rights Act. The Commerce Department oversees the Census Bureau. Under court scrutiny, Mr. Ross’s argument turned out to be incomplete. 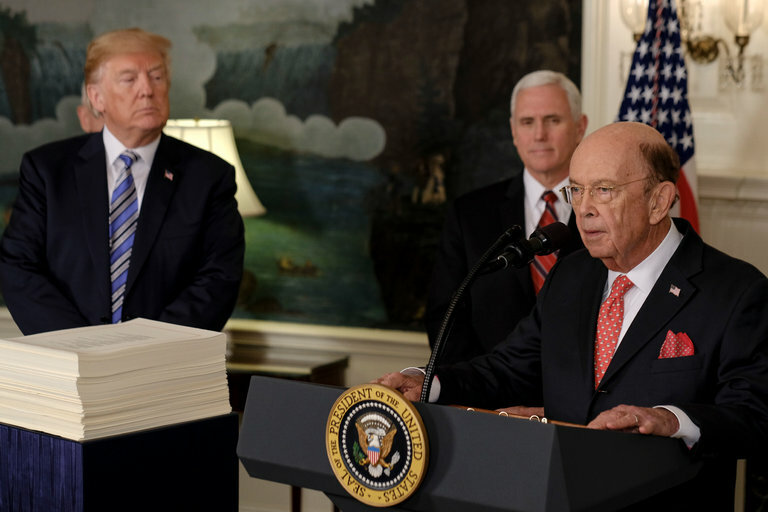 As Mr. Ross later acknowledged in another memorandum, he had begun considering the issue within days of becoming Commerce secretary in February 2017. Internal documents made public in the lawsuit showed that Justice Department officials had not asked for a citizenship question, and had rejected an initial plea from the Commerce Department to do so. Only after a monthslong campaign, capped by a telephone call by Mr. Ross to the attorney general at the time, Jeff Sessions, did the Justice officials assent. In sworn testimony, the department’s senior civil-rights official conceded that census data was not necessary to enforce the Voting Rights Act, and that citizenship information from the American Community Survey and its predecessor had been used for more than five decades without difficulty. 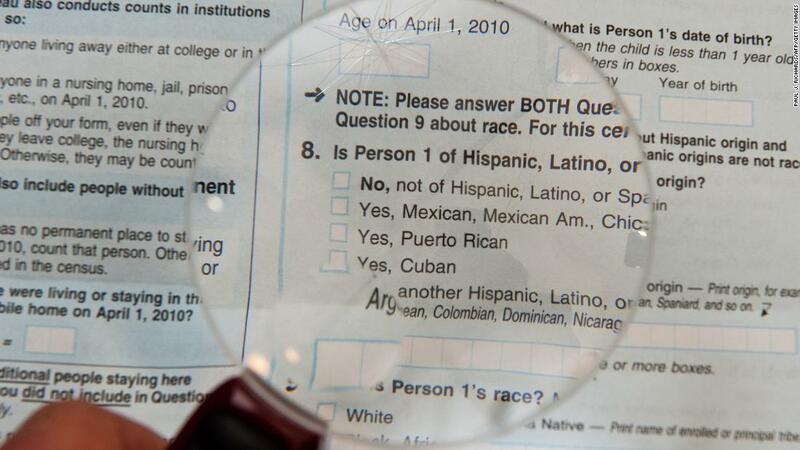 The Census Bureau itself had recommended against adding a citizenship question, estimating in an analysis in January that at least 630,000 households would refuse to fill out the 2020 questionnaire if such a question were included. 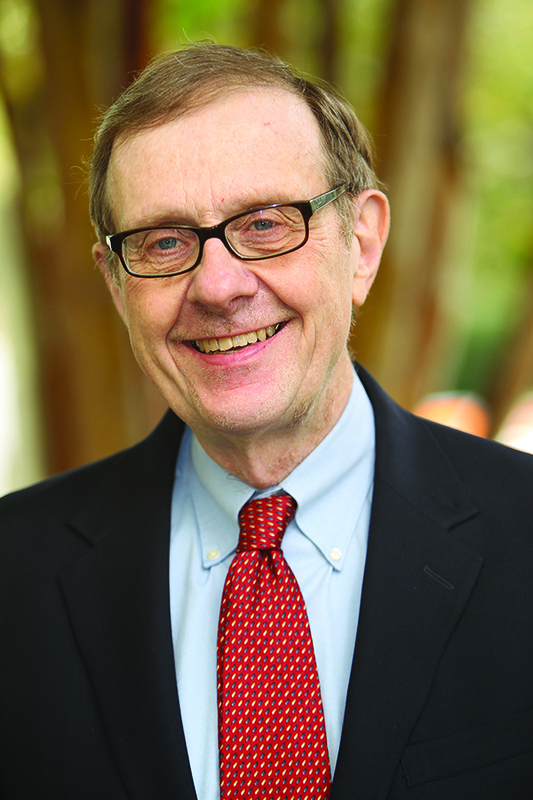 Adding a citizenship question “is very costly, harms the quality of the census count, and would use substantially less accurate citizenship status data than are available from administrative sources,” the bureau’s chief scientist, John M. Abowd, wrote in a memo to Mr. Ross. Lawyers for the plaintiffs said Mr. Ross’s decision was not based on the merits, but was clearly tailored to his personal views. Mr. Shumate disagreed. While “it was evident that he had a policy preference” toward adding a citizenship question, Mr. Shumate argued, Mr. Ross had sought a range of advice and had acted only after the Justice Department established a need. The shift is the result of two trends. First, between 2018 and 2060, gains will continue in the combined racial minority populations, growing by 74 percent. Second, during this time frame, the aging white population will see a modest immediate gain through 2023, and then experience a long-term decline through 2060, a consequence of more deaths than births (see Figure 2). Among the minority populations, the greatest growth is projected for multiracial populations, Asians and Hispanics with 2018–2060 growth rates of 175, 93, and 85 percent, respectively. The projected growth rate for blacks is 34 percent. * The demographic source of growth varies across groups. For example, immigration contributes to one-third of Hispanic growth over this time span, with the rest attributable to natural increase (the excess of births over deaths). Among Asians, immigration contributes to three quarters of the projected growth. These new projections differ from those that the census previously released in 2014. Those projected a minority white tipping point in the year 2044 due to larger projected immigration and somewhat greater growth for several minority groups. The national growth was also somewhat larger in the 2014 projections. The U.S. was predicted to reach a population of 400 million in the year 2051 compared with 2058 in the new projections. Because minorities as a group are younger than whites, the minority white tipping point comes earlier for younger age groups. As shown in Figure 3, the new census projections indicate that, for youth under 18–the post-millennial population–minorities will outnumber whites in 2020. For those age 18-29–members of the younger labor force and voting age populations–the tipping point will occur in 2027. These tipping point years occur later for older age groups, meaning that seniors, age 60 and above, will continue to be majority white after the year 2060. The latter can be attributable in the near term to the staying power of the largely white baby boom. In fact, over the 2018–2060 time span, the only white age group that does not lose population is the 65 and older age group, an age group that, overall, grows far more rapidly than any other. Clearly it is the growth of the nation’s youthful minority population–attributable to a combination of past and present immigration and births among younger minority groups–that is keeping the nation from aging even faster than would otherwise be the case. Figure 4 makes clear how important minority populations will become for the nation’s youth even through 2060. At that point in time, the census projects whites will comprise only 36 percent of the under age 18 population, with Hispanics accounting for 32 percent. This contrasts sharply with the minority contribution to the nation’s seniors, which will still be over half white. Because racial minorities are projected to account for all of the nation’s youthful population growth over the next 42 years, they will sharply decelerate national aging. Already in 2018, there will be more white seniors than children and more white deaths than births according to census projections. Yet, neither will be the case for the combined minority population for the projected 2018–2060 time frame. Minorities will be the source of all of the growth in the nation’s youth and working age population, most of the growth in its voters, and much of the growth in its consumers and tax base as far into the future as we can see. Hence, the more rapidly growing, largely white senior population will be increasingly dependent on their contributions to the economy and to government programs such as Medicare and Social Security. This suggests the necessity for continued investments in the nation’s diverse youth and young adults as the population continues to age. * Growth rates for multiracials, Asians and blacks pertain to non-Hispanic members of those groups. WASHINGTON White people will no longer make up a majority of Americans by 2043, according to new census projections. That’s part of a historic shift that already is reshaping the nation’s schools, workforce and electorate, and is redefining long-held notions of race. The official projection, released Wednesday by the Census Bureau, now places the tipping point for the white majority a year later than previous estimates, which were made before the impact of the recent economic downturn was fully known. America continues to grow and become more diverse due to higher birth rates among minorities, particularly for Hispanics who entered the U.S. at the height of the immigration boom in the 1990s and early 2000s. Since the mid-2000 housing bust, however, the arrival of millions of new immigrants from Mexico and other nations has slowed from its once-torrid pace. The country’s changing demographic mosaic has stark political implications, shown clearly in last month’s election that gave President Barack Obama a second term — in no small part due to his support from 78 percent of non-white voters. There are social and economic ramifications, as well. Longstanding fights over civil rights and racial equality are going in new directions, promising to reshape race relations and common notions of being a “minority.” White plaintiffs now before the Supreme Court argue that special protections for racial and ethnic minorities dating back to the 1960s may no longer be needed, from affirmative action in college admissions to the Voting Rights Act, designed for states with a history of disenfranchising blacks. Residential segregation has eased and intermarriage for first- and second-generation Hispanics and Asians is on the rise, blurring racial and ethnic lines and lifting the numbers of people who identify as multiracial. 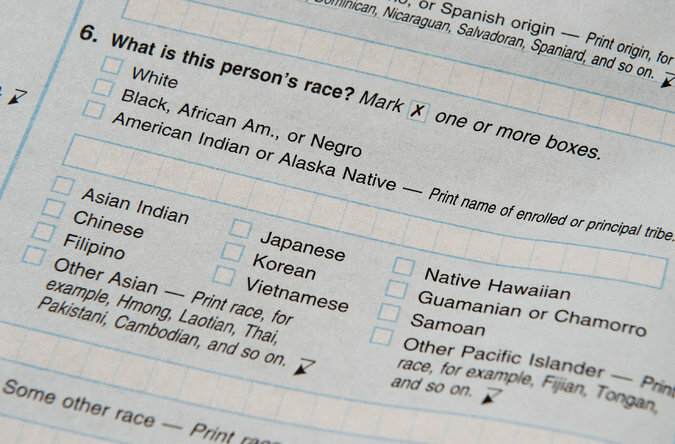 Unpublished 2010 census data show that millions of people shunned standard race categories such as black or white on government forms, opting to write in their own cultural or individual identities. By 2060, multiracial people are projected to more than triple, from 7.5 million to 26.7 million — rising even faster and rendering notions of race labels increasingly irrelevant, experts say, if lingering stigma over being mixed-race can fully fade. The non-Hispanic white population, now at 197.8 million, is projected to peak at 200 million in 2024, before entering a steady decline in absolute numbers as the massive baby boomer generation enters its golden years. Four years after that, racial and ethnic minorities will become a majority among adults 18-29 and wield an even greater impact on the “youth vote” in presidential elections, census projects. “The fast-growing demographic today is now the children of immigrants,” said Marcelo Suarez-Orozco, a global expert on immigration and dean of UCLA’s Graduate School of Education & Information Studies, describing the rate of minority growth in the U.S. as dipping from “overdrive” to “drive.” Even with slowing immigration, Suarez-Orozco says, the “die has been cast” for strong minority growth from births. As recently as 1960, whites made up 85 percent of the U.S., but that share has steadily dropped after a 1965 overhaul of U.S. immigration laws opened doors to waves of new immigrants from Mexico, Latin America and Asia. By 2000, the percentage of U.S. whites had slid to 69 percent; it now stands at nearly 64 percent. “Moving forward, the U.S. will become the first major post-industrial society in the world where minorities will be the majority,” Suarez-Orozco said. With the white baby-boomer population now leaving the work force, the big challenge will be educating the new immigrants, he said. The U.S. has nearly 315 million people today. According to the projections released Wednesday, the U.S. population is projected to cross the 400 million mark in 2051, 12 years later than previously projected. The population will hit 420.3 million a half century from now in 2060. By then, whites will drop to 43 percent of the U.S. Blacks will make up 14.7 percent, up slightly from today. Hispanics, currently 17 percent of the population, will more than double in absolute number, making up 31 percent, or nearly 1 in 3 residents, according to the projections. Asians are expected to increase from 5 percent of the population to 8 percent. Among children, the point when minorities become the majority is expected to arrive much sooner, in 2019. Last year, racial and ethnic minorities became a majority among babies under age 1 for the first time in U.S. history. At the same time, the U.S. population as a whole is aging, driven by 78 million mostly white baby boomers born between 1946 and 1964. By 2030, roughly 1 in 5 residents will be 65 and older. Over the next half century, the “oldest old” — those ages 85 and older — will more than triple to 18.2 million, reaching 4 percent of the U.S. population. The actual shift in demographics will be shaped by a host of factors that can’t always be accurately pinpointed — the pace of the economic recovery, cultural changes, natural or manmade disasters, as well as an overhaul of immigration law, which is expected to be debated in Congress early next year. “The next half century marks key points in continuing trends — the U.S. will become a plurality nation, where the non-Hispanic white population remains the largest single group, but no group is in the majority,” said acting Census Bureau Director Thomas Mesenbourg. Republicans have been seeking to broaden their appeal to minorities, who made up 28 percent of the electorate this year, after faring poorly among non-whites on Election Day, when Republican presidential candidate Mitt Romney carried only about 20 percent of non-white votes. The race and ethnic changes are already seen in pockets of the U.S. and in the younger age groups, where roughly 45 percent of all students in K-12 are Hispanics, blacks, Asian-Americans and others. Already, the District of Columbia and four states — Hawaii, California, New Mexico and Texas — have minority populations greater than 50 percent; across the U.S., more than 11 percent of counties have tipped to “majority-minority” status. Last month, nearly all voters over age 65 were white (87 percent), but among voters under age 30, just 58 percent were white. Economically, the rapidly growing non-white population gives the U.S. an advantage over other developed nations, including Russia, Japan and France, which are seeing reduced growth or population losses due to declining birth rates and limited immigration. The combined population of more-developed countries other than the U.S. has been projected to decline beginning in 2016, raising the prospect of prolonged budget crises as the number of working-age citizens diminish, pension costs rise and tax revenues fall. Depending on future rates of immigration, the U.S. population is estimated to continue growing through at least 2060. In a hypothetical situation in which all immigration — both legal and illegal — immediately stopped, previous government estimates have suggested the U.S. could lose population beginning in 2048. “Young families — many of them first or second-generation immigrants — have been the engine of U.S. population growth for several decades,” said Mark Mather, associate vice president of the Population Reference Bureau. Project RACE in the News!